Doctors William Carlisle, Robert Reynolds, Dolores Shine and Stephanie Salituro make up the amazing team of veterinarians at KAH. Our doctors & staff strive to make a difference in the quality of life for each pet. We have a phenomenal team who are extremely caring and compassionate about every living creature who enters our doors. Welcome to Kenosha Animal Hospital where your family is part of our family. 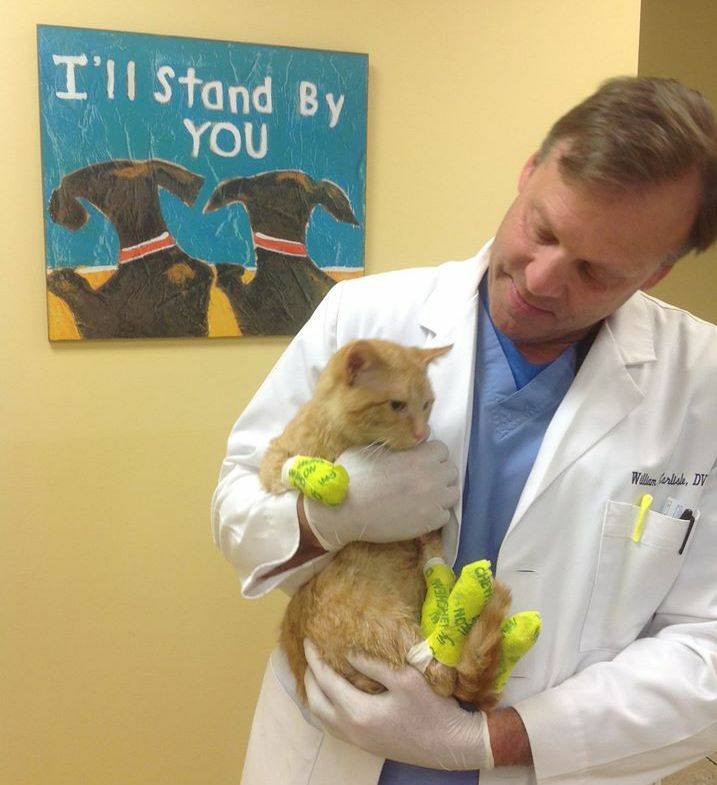 Pictured is Dr. Carlisle with little Arrow who was rescued after having all four feet burned in a hot oven. He has made a remarkable recovery.